Imagine a tiny fairy village where wildflowers and mushrooms bloom, fancy and decorative cottages line tiny cobblestone paths, and butterflies flit from blossom to blossom! 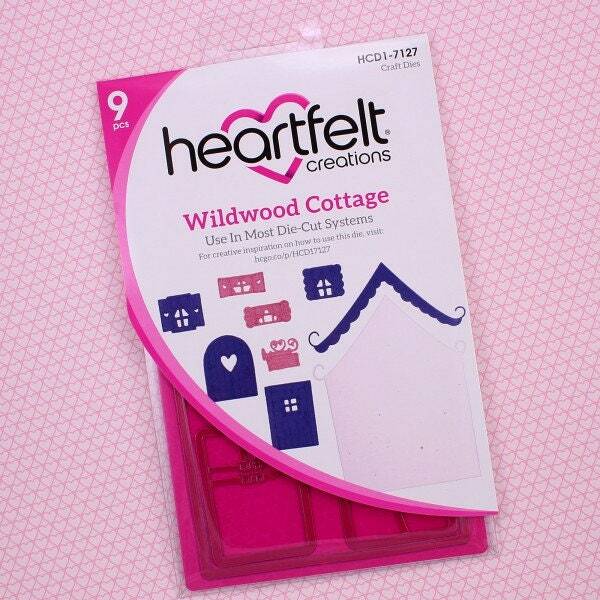 Using the Wildwood Cottage die and coordinating cling stamps, you are able to customize each and every cottage in your tiny fairy village! 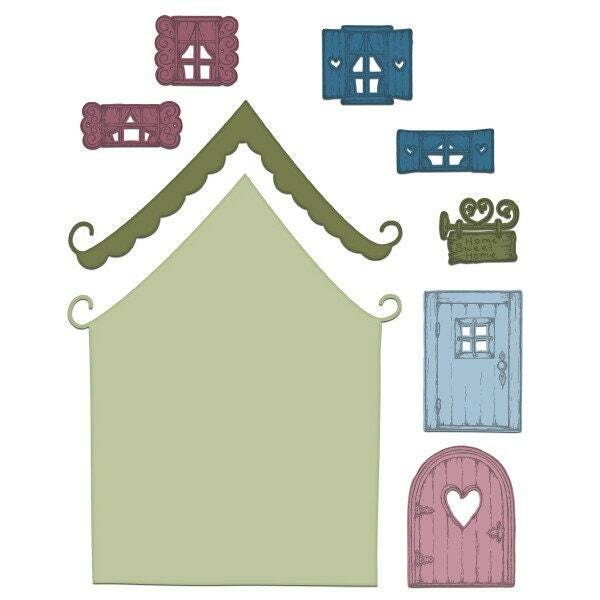 The adorable window and door combinations will add a touch of charm and dimension to your darling pixie dwellings being showcased on cards, scrapbook layouts and altered art pieces! 8. House: 4.25" x 5.5"